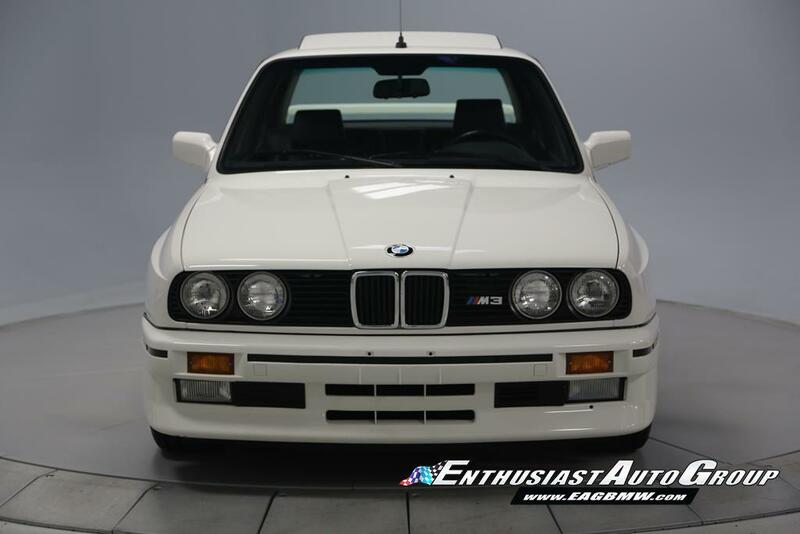 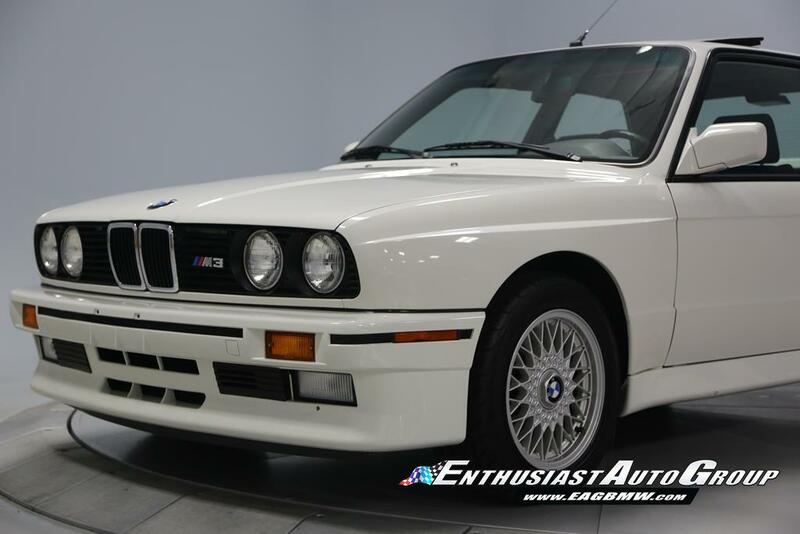 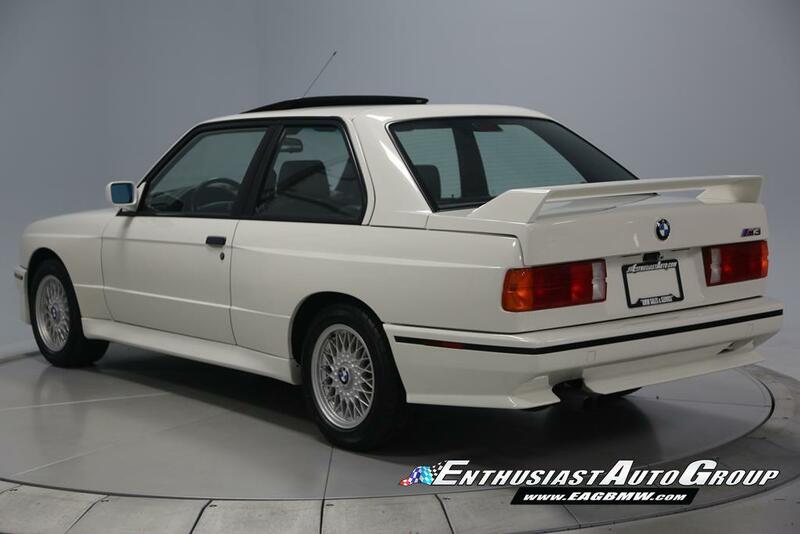 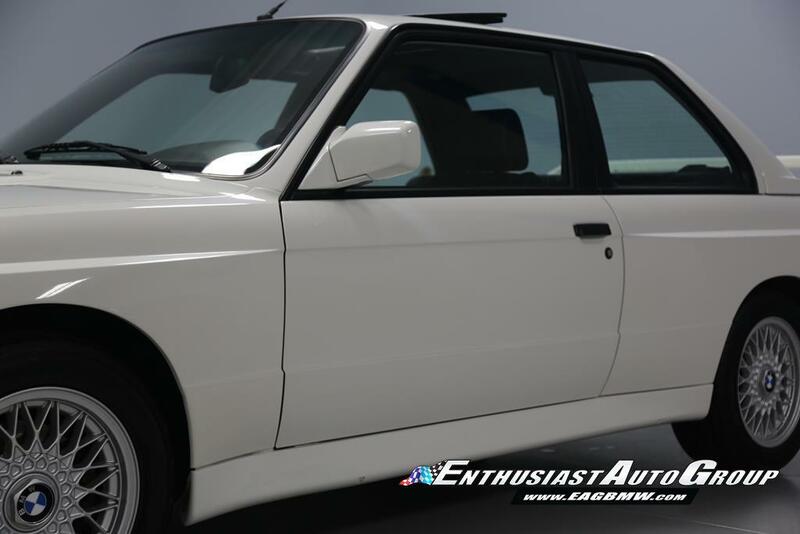 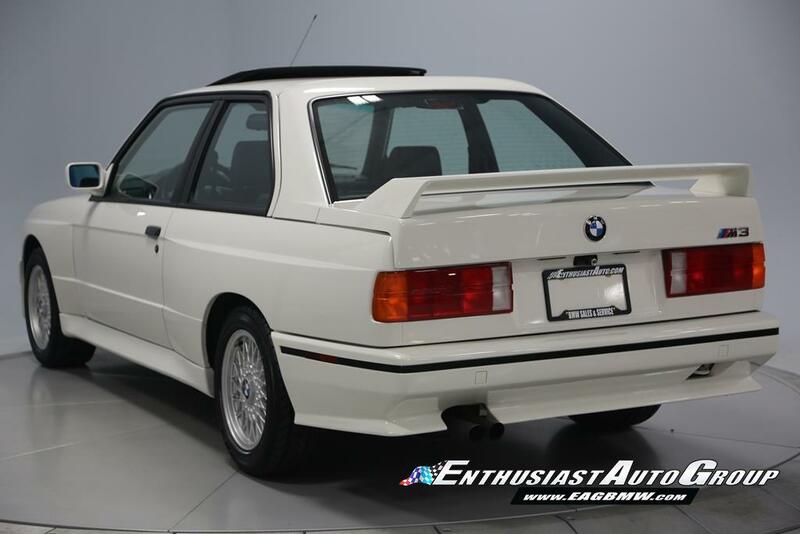 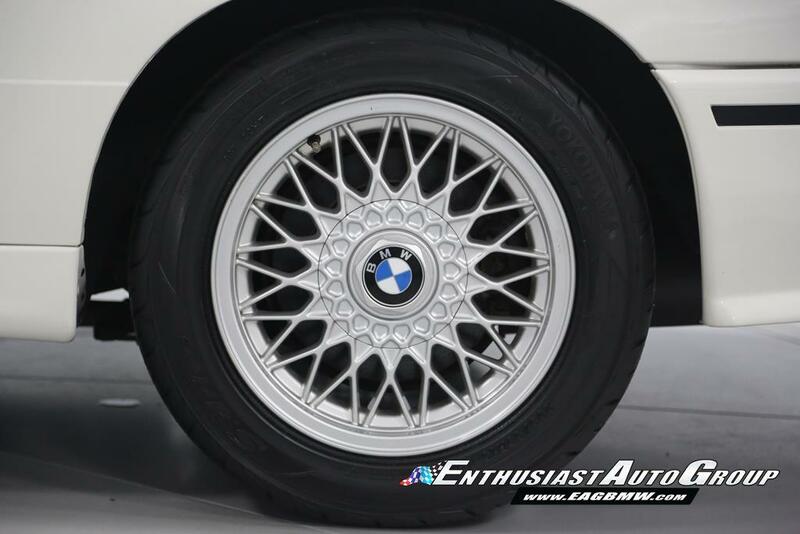 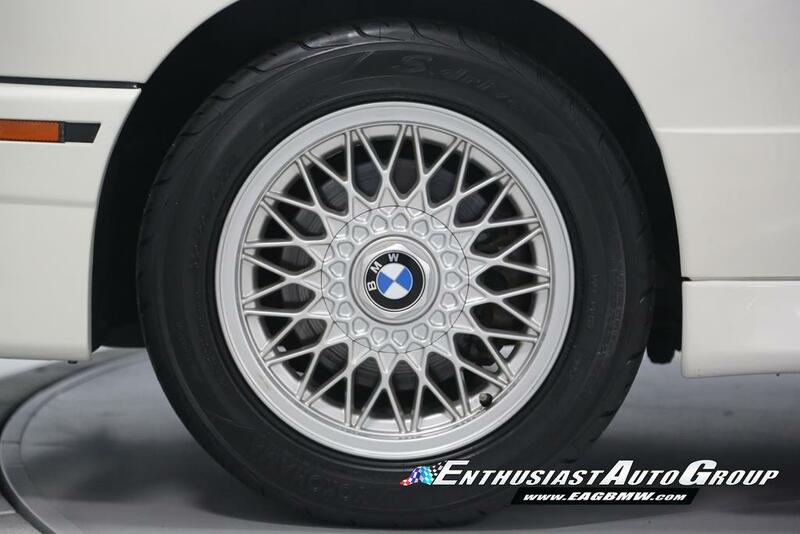 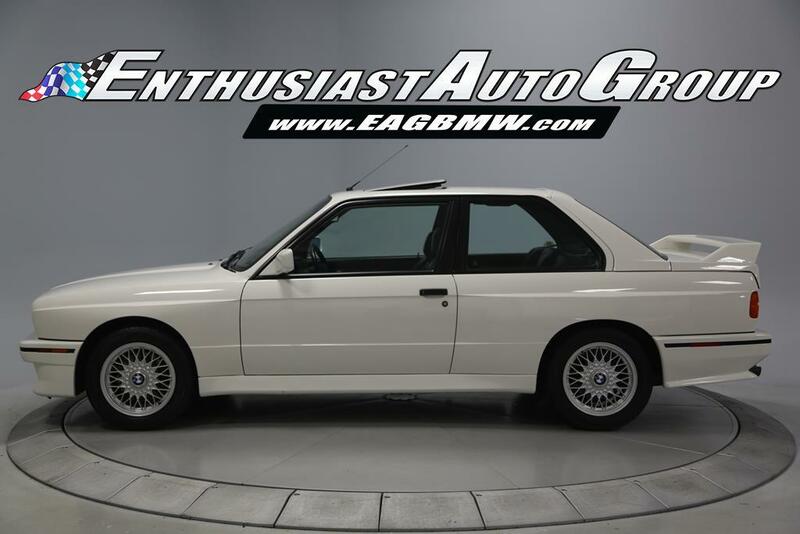 *EAG Collection* Alpine White on Black Leather, Absolutely Stunning, Low-Mileage, Collector-Grade E30 M3! 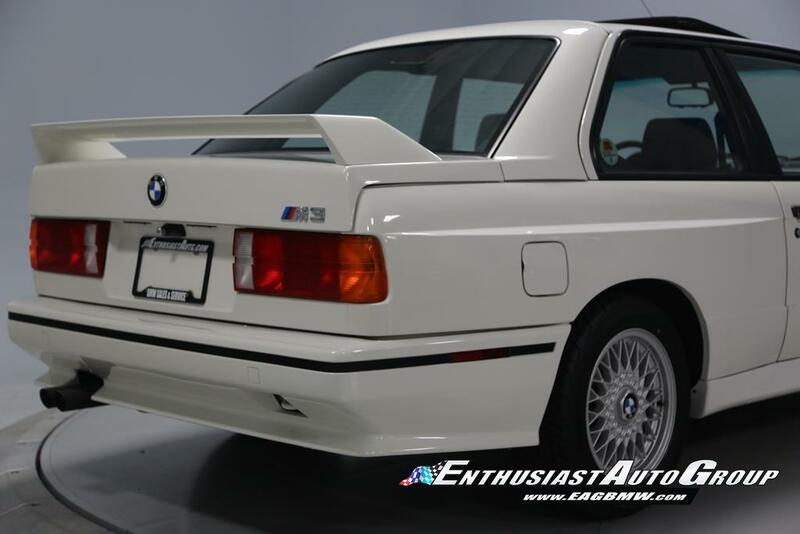 All Original Body Panels with All VIN Tags Present! 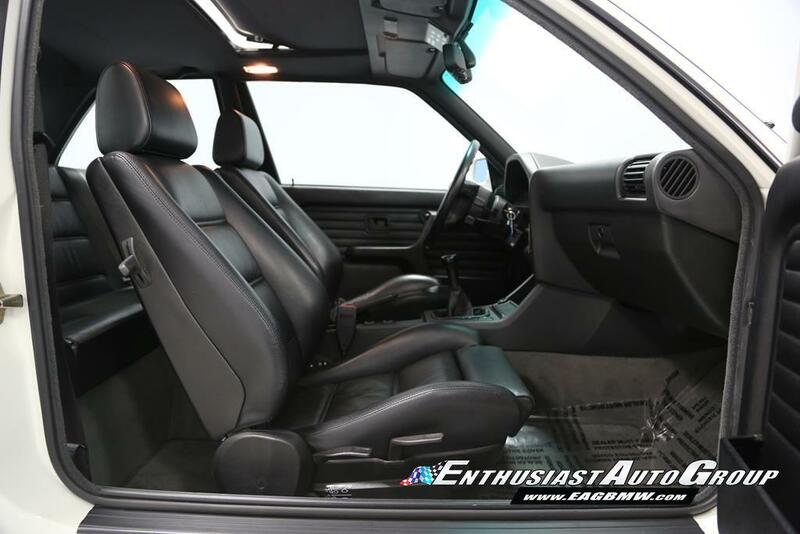 Factory Build Specifications Include: Leather wrapped steering wheel with airbag, electric sliding + vent sunroof, power front windows, air conditioning, cruise control, heated front seats, BMW sound system, on board computer II with remote (located on turn signal stalk) and BMW keyless entry system. 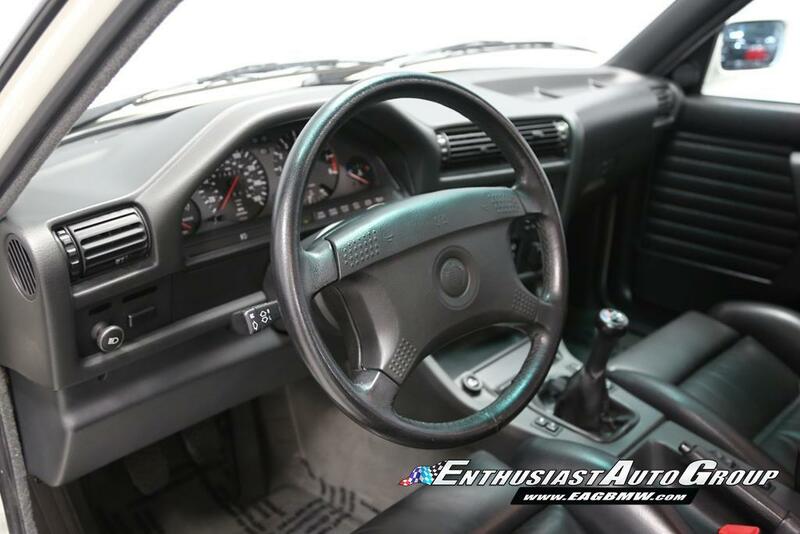 100% stock condition vehicle; never modified, upgraded or altered. 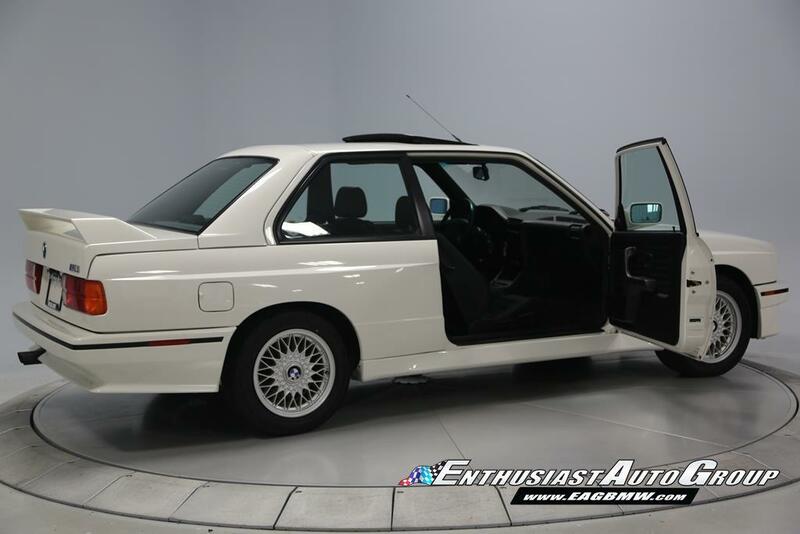 This rare investment-grade vehicle has resided in a climate controlled garage its entire life �“ never seen inclement weather. 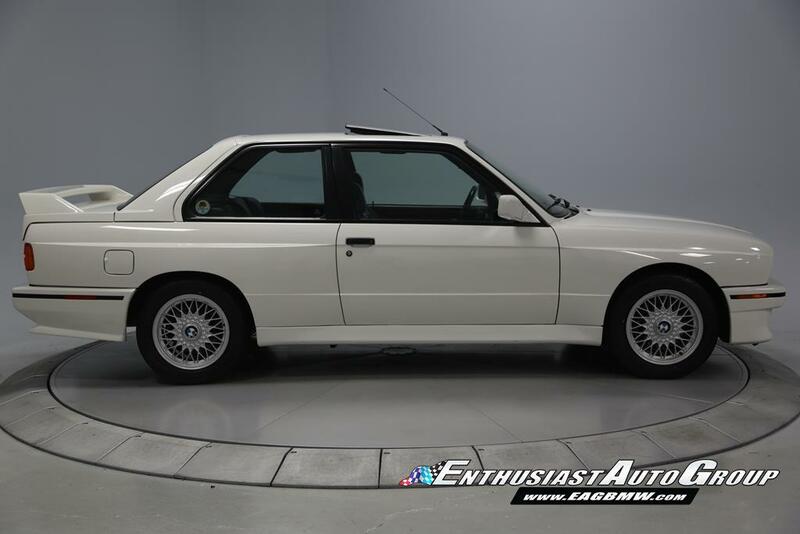 The overall condition is extremely well-preserved throughout. 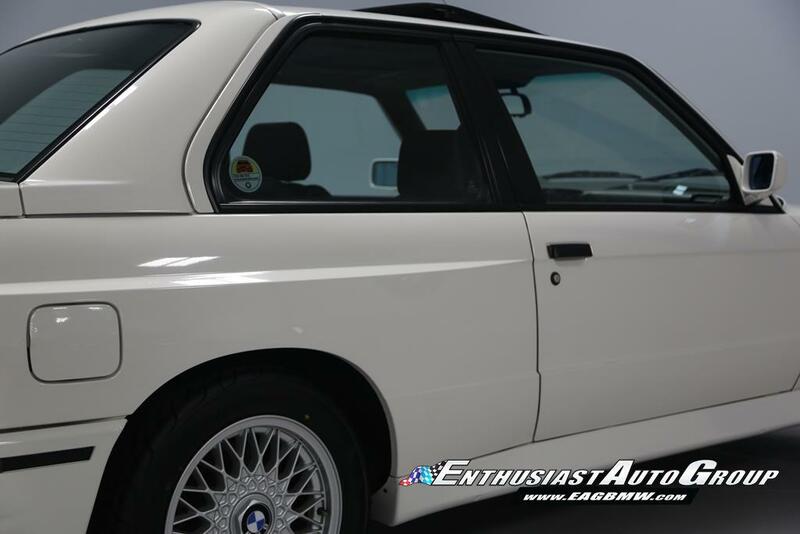 The body and exterior paint are exceptionally clean without significant flaws or blemishes. 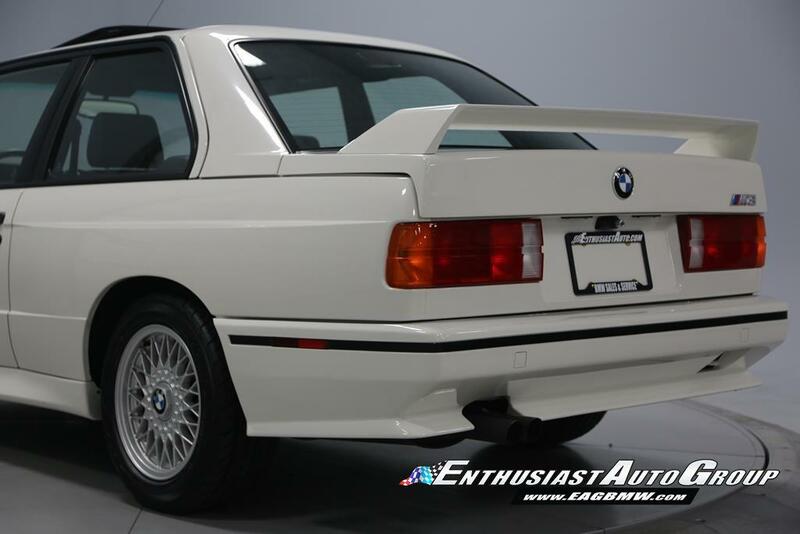 Completely rust-free vehicle! 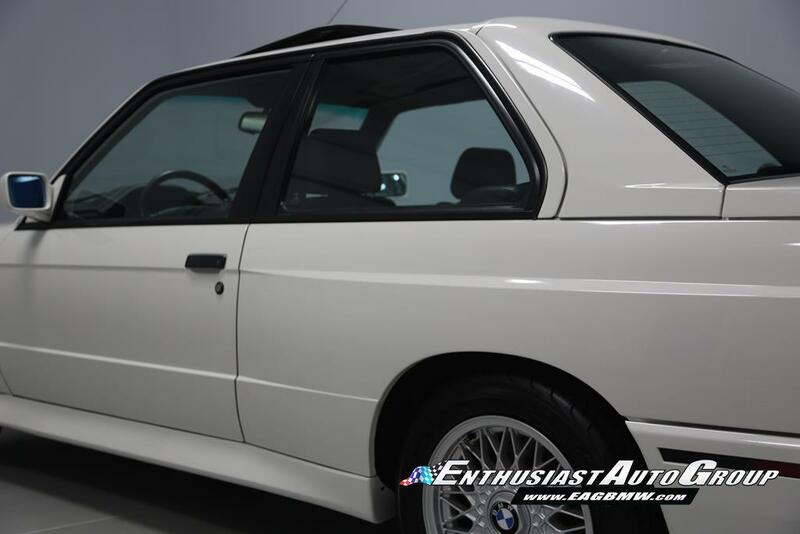 The undercarriage of this M3 is spotless with full cosmoline treatment applied from the factory. 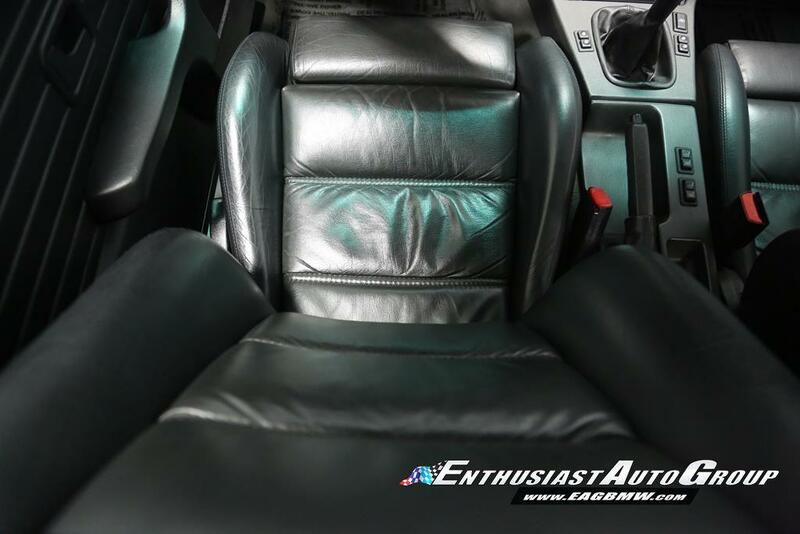 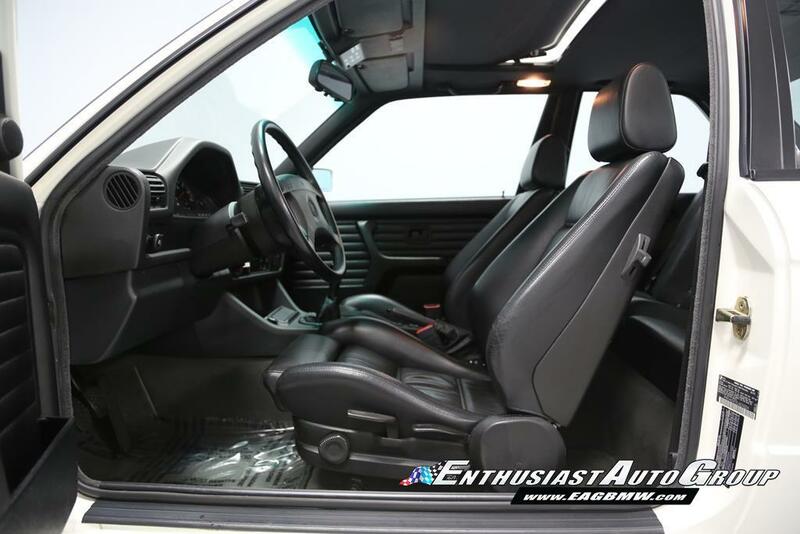 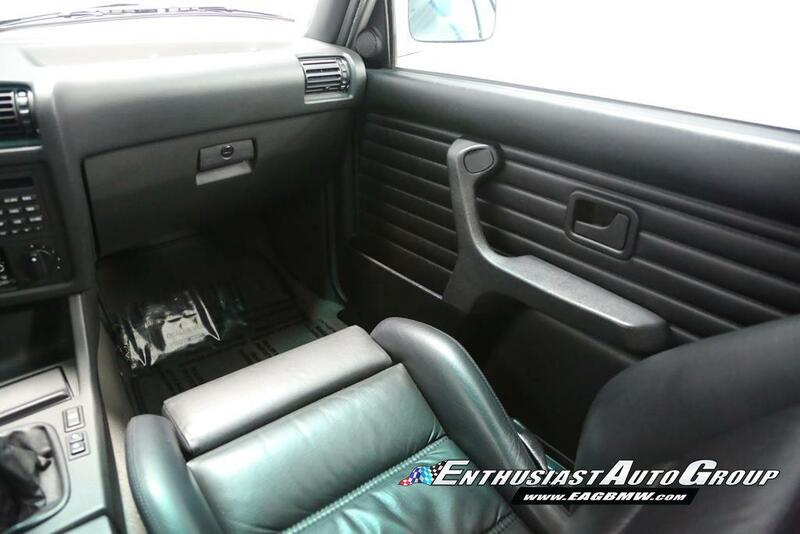 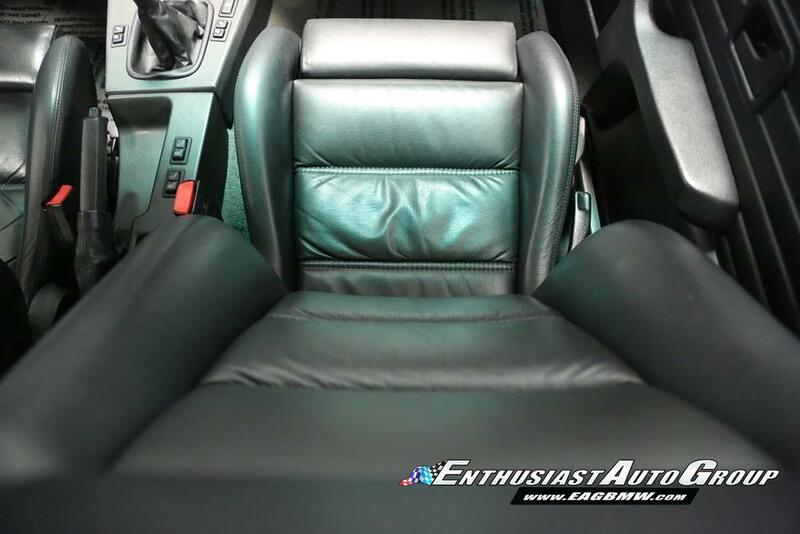 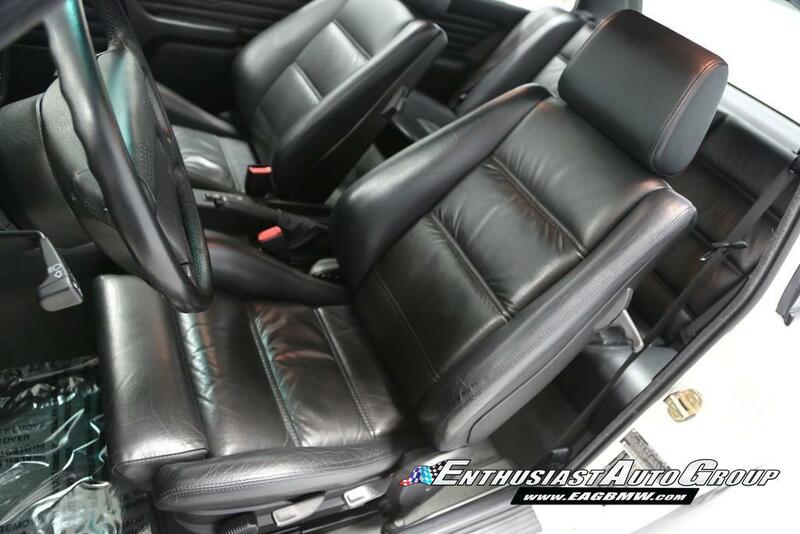 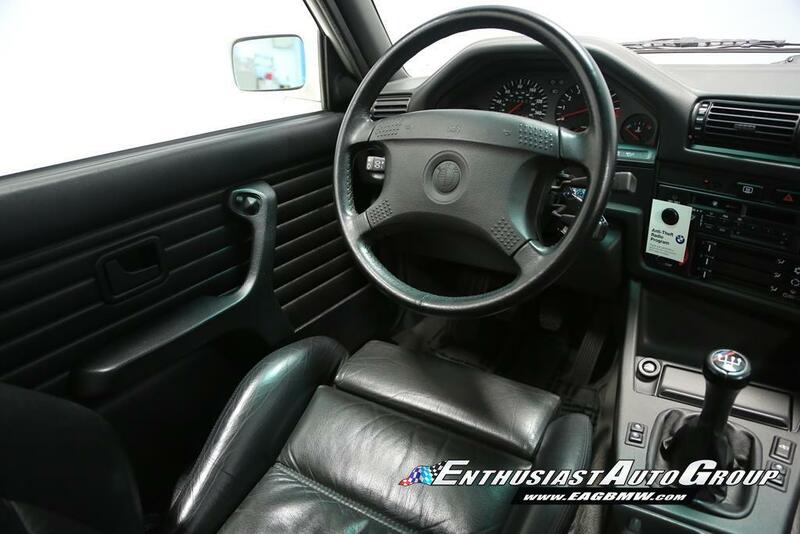 The interior shows very well with clean carpets, crack-free dash and supple leather upholstery. 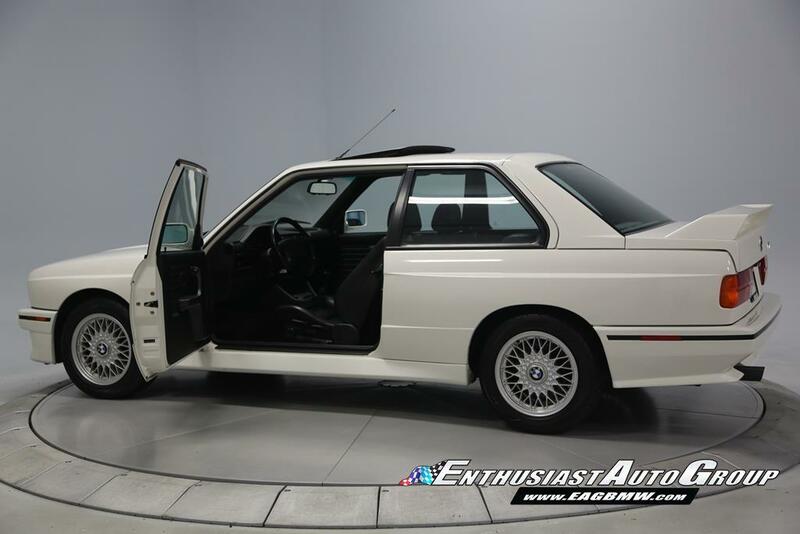 This car is truly a time capsule that has been well-cared-for and pampered. 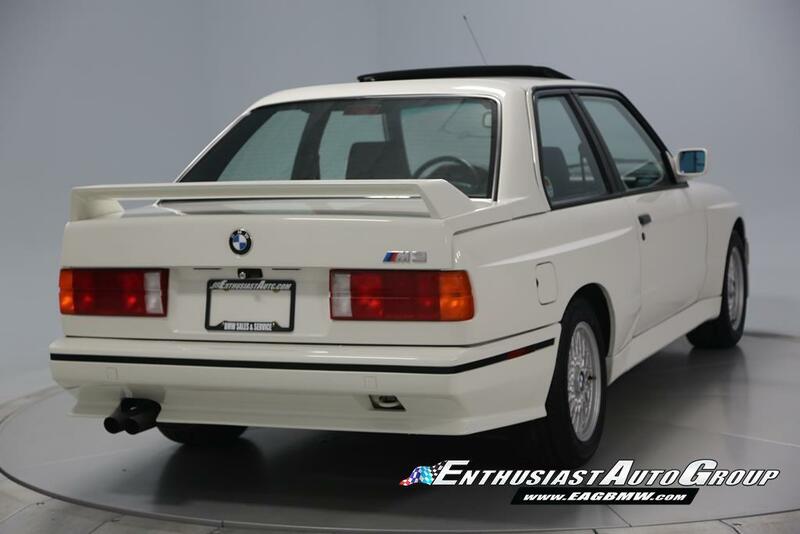 Formerly owned by an avid BMW collector, Gordon Medenica, the founding Executive Director of the BMW Car Club of America (BMWCCA). 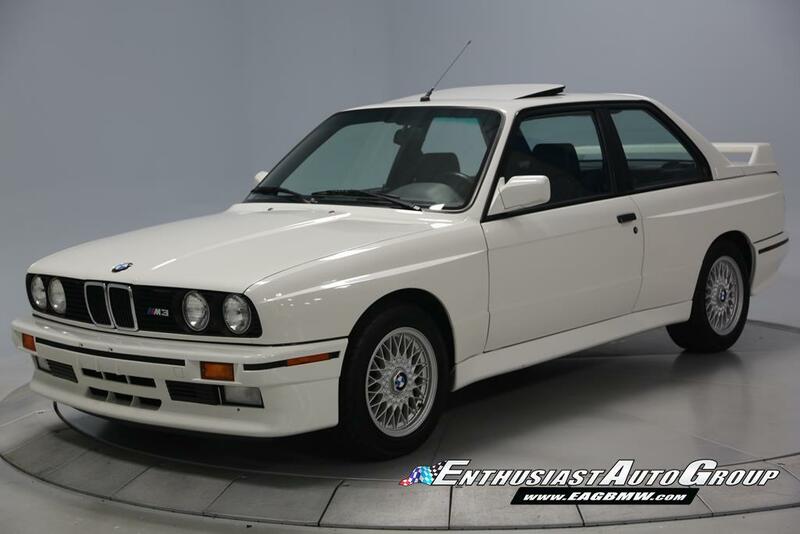 This M3 has been shown several times at the Greenwich Concours dElegance. 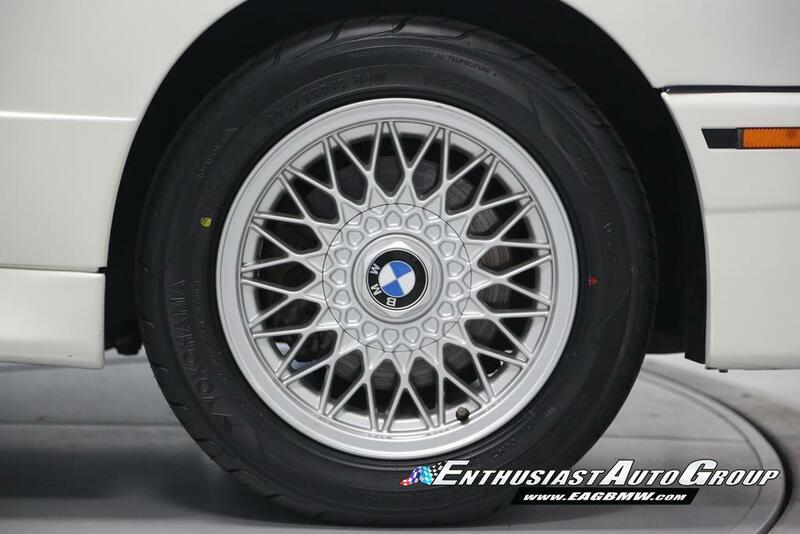 Certificate of Authenticity from BMW Mobile Tradition included. 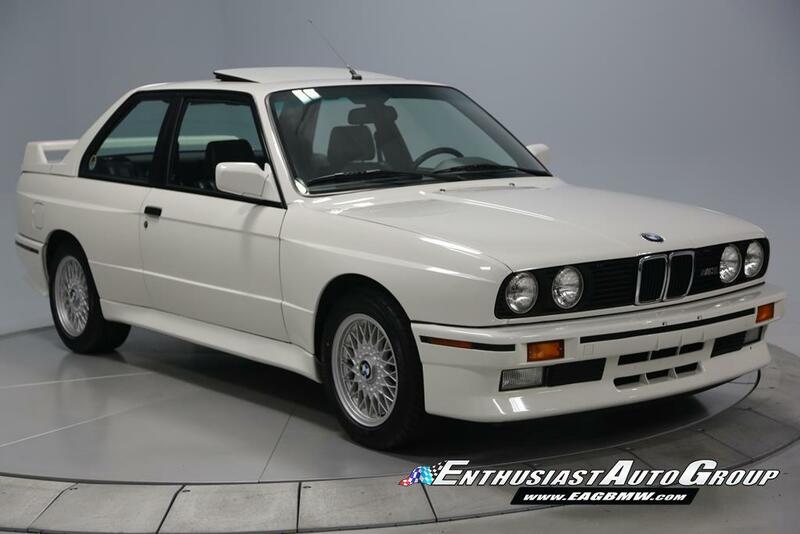 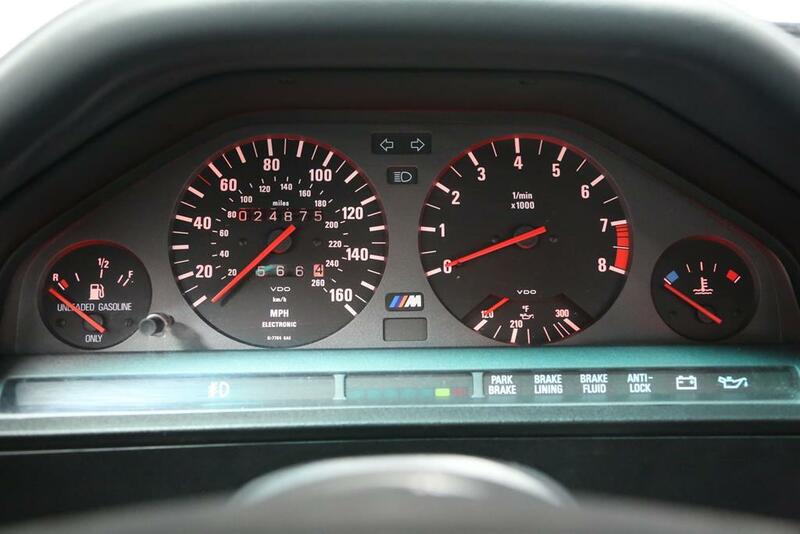 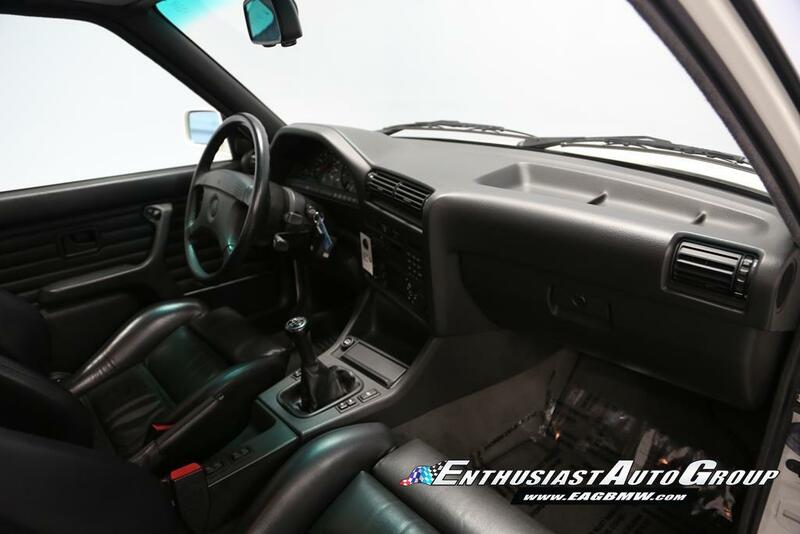 Meticulously maintained with full documentation since 1998 at 12,270 miles. 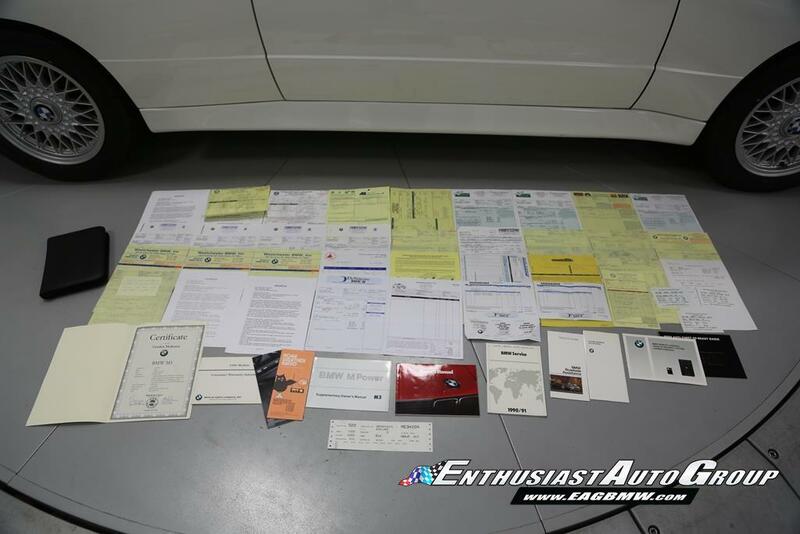 Routine interval upkeep with documentation + service stamps in service booklet. 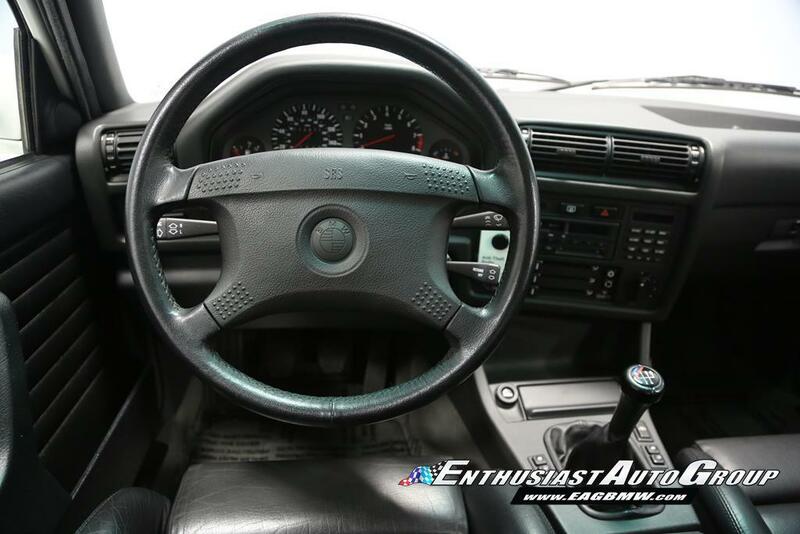 Additional vehicle documentation includes the original build sheet, owners manuals + booklets and even the original BMW anti-theft radio tag! 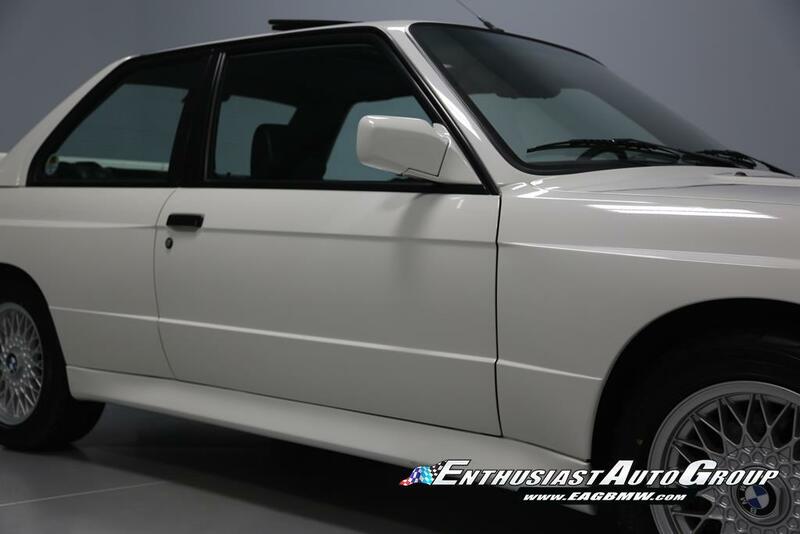 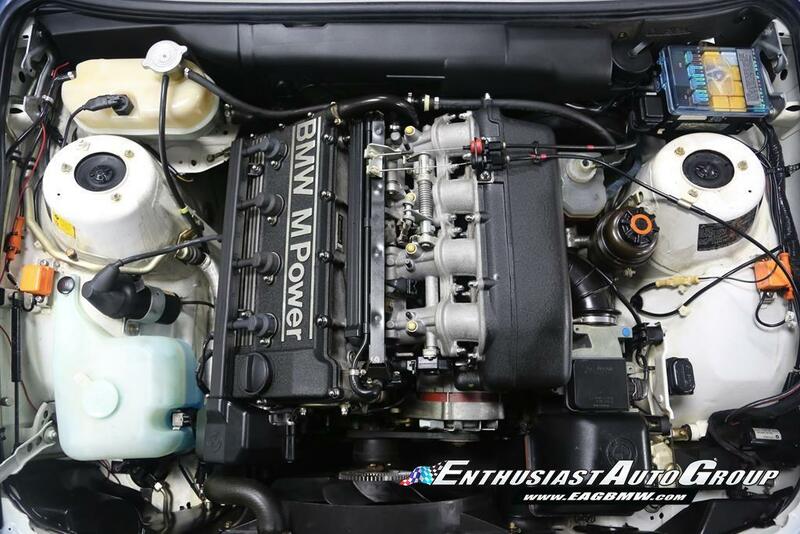 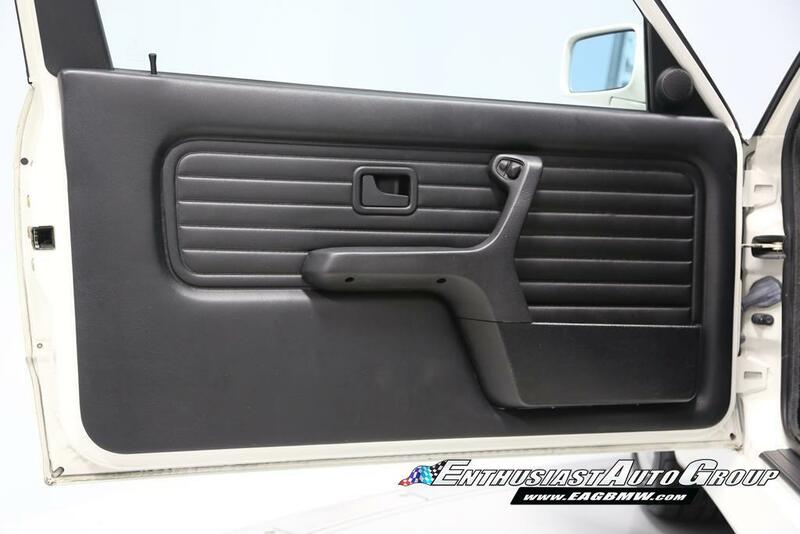 Enthusiast Auto has completed our Comprehensive Pre-Purchase Inspection and is completing our Work Order ensuring this E30 M3 is a turn-key, needs-nothing car! 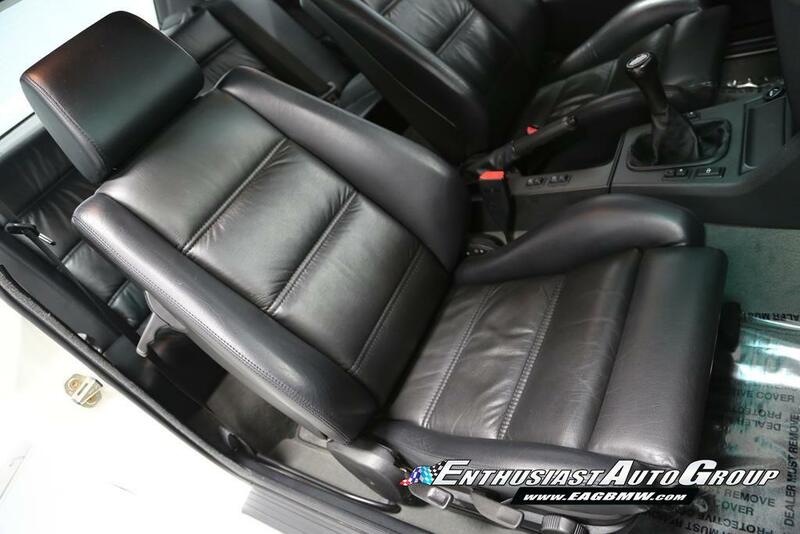 Service Highlights include: Complete 10-year service which includes: engine oil + filter change, transmission fluid change, differential fluid change, coolant flush, brake fluid flush, power steering fluid flush, engine air filter + fuel filter. 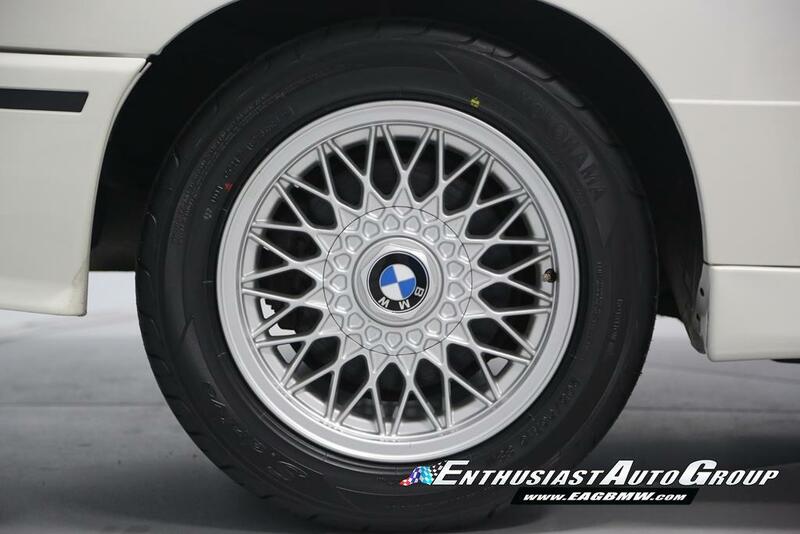 EAG has also mounted + road-force balanced new Yokohama S-Drive sport tires. 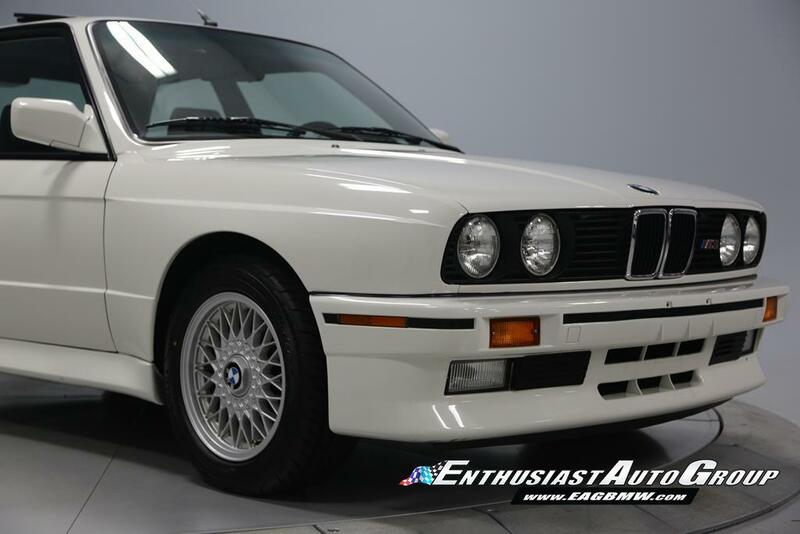 This E30 M3 is one of the best examples left in existence and were proud to include it in our collection! 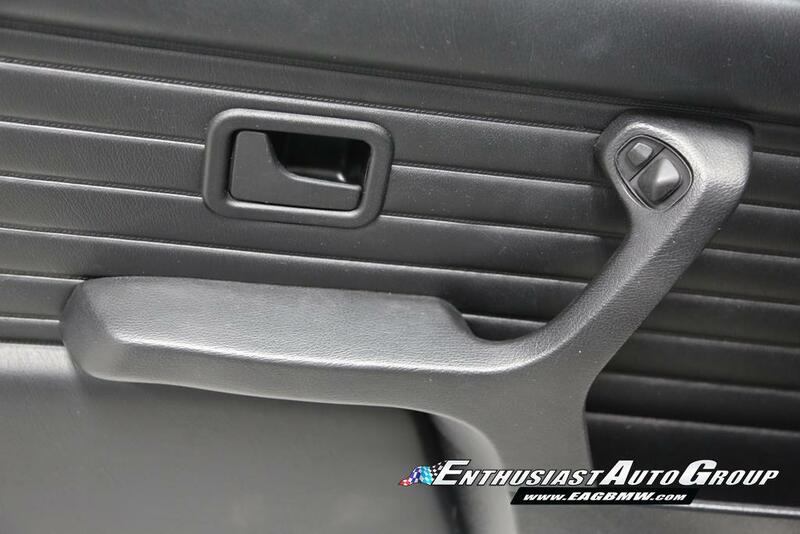 Clean Vehicle History Report with No Accidents and No Drama! 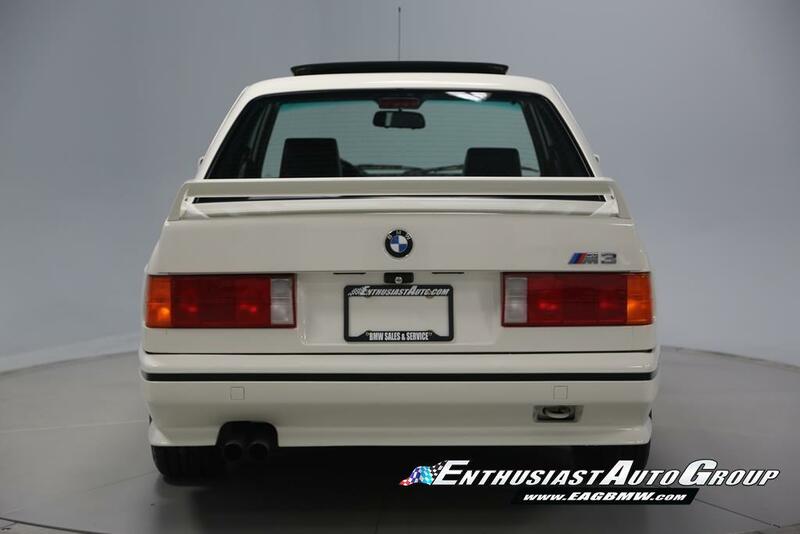 Responsibly Owned, Non-Smoker.